1. Песни Billy Holiday. Lover Man (1927-1949) Louis Armstrong. 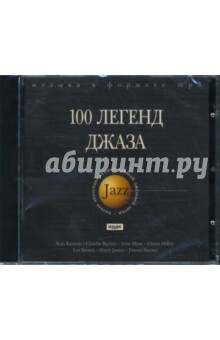 When Its Sleepy Time Down South (30-40-е) Louis Armstrong. Jeepers Creepers (30-40-е) Louis Armstrong. St.Louis Blues (30-40-е) Benny Carter. Malibu (1943-46)(Benny Carter) Bunny Berigan. High Society (1937-1939) (Porter Steele) Ella Fitzgerald. A-tisket, a-tasket (1935-39) (Van Alexander, Ella Fitzgerald) Charlie Parker. April in Paris (1945-1953)(Vernon Duke/E.Y. "Yip" Harburg) Dorsey Brothers. Dese Dem Dose (1935) (Glenn Miller) Fats Waller. Honeysuckle Rose (1937) Jan Savitt. Top Hat Shuffle (1939) Jerry Gray. Lady Be Good (1946-1951) (G. & I. Gershwin) Les Brown. Harlem Nocturne (1953) (Earle Hagen) Bob Crosby. Diga Diga Do (1937-39) (Dorothy Fields/Jimmy McHugh) Stan Kenton. Body And Soul (1944-1945) (Frank Eyton/Johnny Green/Edward Heyman/Robert Sour) Tommy Dorsey. I&apos;ll Never Smile Again (1940-1942) (Ruth Lowe) 2. Исполнители 1. Stan Kenton (1945-46) Two Moose In A Cobose Body And Soul I Never Thought Solitude On The Sunny Side Of The Street Begin The Beguin Scotch And Water Yesterdays Easy Street No Baby Nobody But You Lover Everybody Swing I Got The Sun In The Morning It&apos;s Never Too Late To Pray Who s Got A Tent For Rent Tea For Two Come Rain Or Come Shine Reed Rapture One Twenty Lover Man Cocktails For Two I Surrender Dear End Of The World Peg O&apos; My Heart Equador Opus In Pastels 2. Charlie Barnet (1945) Sharecroppin&apos; Blues Drop Me Off In Harlem Gulf Coast Blues Flat Top Flips The Lid Southern Fried Redskin Rhumba Lumby Charlestone Alley You&apos;re My Thrill Things Ain t What They Used To Be Washington Whirling The Moose Pow-Wow Strollin&apos; The Great Lie 3. Artie Shaw (1940) Carioca The Donkey Serenade Frenesi Gloomy Sunday I Surrender Dear Deep Purple Blues Part 1 Blues Part 2 All The Things You Are 4. Glenn Miller (1941-42) Rhapsody In Blue (George Gerschvin) Moonlight Mood (Harold Adamson-Peter DeRose) Shhh, It&apos;s A Military Secret Don&apos;t Sit Under The Apple Tree That Old Black Magic (Johny Merser-Harold Arlen) Moonlight Becomes You (Johny Burke-Jimmy Van Heusen) Juke Box Saturday Night (Albert Stillman-Paul McGrane) 5. Les Brown (1936-1949) Dance Of The Blue Devils Swanee River 52nd Street Fever Harlem Nocturne 6. Harry James (1946) Flash I&apos;d Be Lost Without You Blue Skies Moten Swing Five Minutes More The Man I Love Perdido Oh But I Do Jealousy Seems Like Old Times Lover Come Back To Me Why Does It Get So Late So Early Rose Room What More Can I Ask For Keb-Lah Embraceable You Man With The Horn Shine Two O&apos;Clock Jump 7. Jimmy Dorsey (1944) Can Anyone Explain Tenderly Manhattan I&apos;m In Love Again Общее время звучания: 5 ч. Диск содержит 100 треков в формате mp3. 192 kBit/sec o 44,1 kHz, Stereo o MPEG Audio Layer 3 Этот диск не может проигрываться на стандартном Audio CD плеере. Этот диск может быть использован на: - CD, VCD, DVD аппаратуре со встроенным декодером MP3 - персональном компьютере. Системные требования Операционная система: Windows 98/ME/NT/2000/XP Процессор: Pentium 166 MHz Память: 64 Mb Видео: SVGA Звуковая карта CD-ROM: 4х CD-MP3, тип упаковки: jewel.